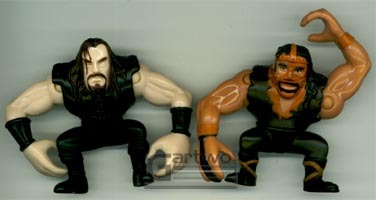 This line of figures was produced in 1997, during the brief time Playmates had a WWF liscense. 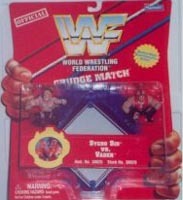 There were six 2-packs released in this series. Each set came with a small ring. 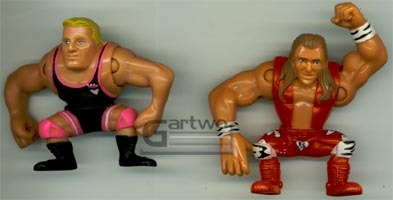 They stand about 1.5" tall, are poseable, and highly detailed. 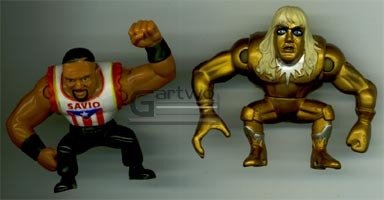 They are some really cool looking little figures. 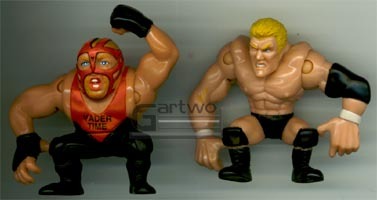 Some of the Playmates merchandise could later be found in bargain bins with Jakks Pacific stickers covering up the Playmates logo, so apparently Jakks bought out Playmates left over merchandise. 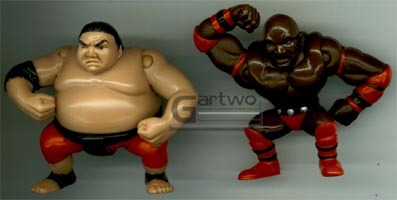 Jakks also later used this same style of figures in some of it's mini playsets.